Hi, welcome on Monday! 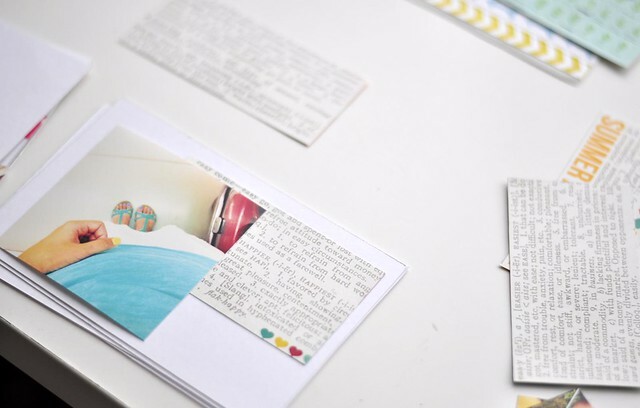 It's Kasia here and I would like to share with you some simple techniques for putting a quick mini book together. 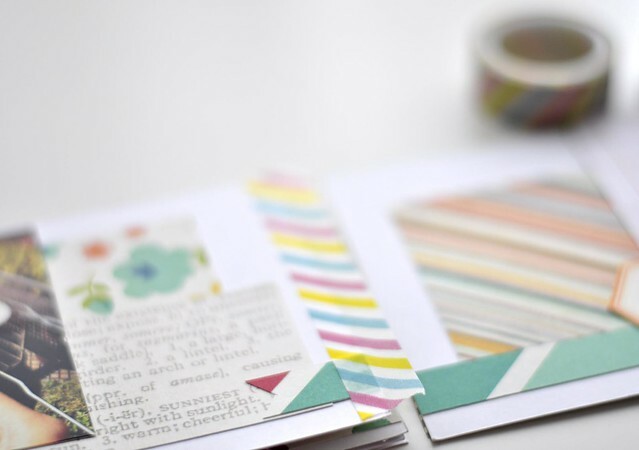 Today's album is based on paper elements- no mess, no paints, no medias, just paper, stickers and some happy tape:) Thanks to preparing all the elements beforehand you can finish this mini really quickly! I decided to make a small book where I could highlight some of my summer favorite things and include photos which probably wouldn't get scrapped otherwise. 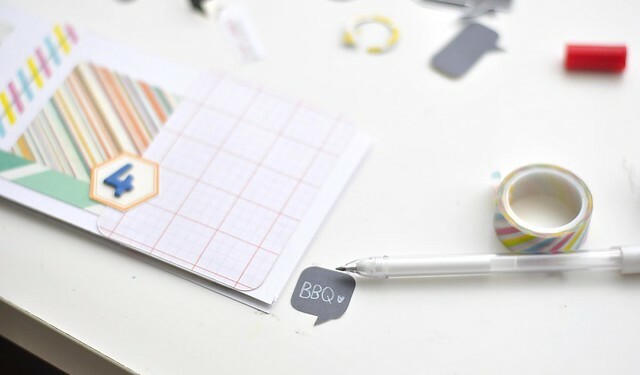 You can also follow this steps to prepare a cute mini to insert in your Pocket Life page protectors- just make sure to cut your base to right size! 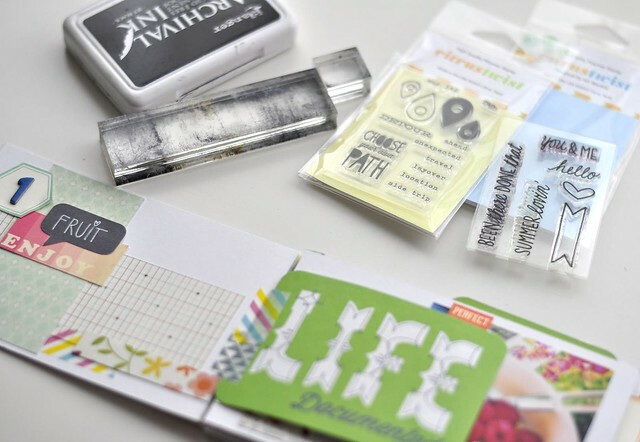 First, prepare your supplies- I collected some papers and embellishments from August embellie add on kit, Pocket Life kit and Patterned Paper Add On kit. 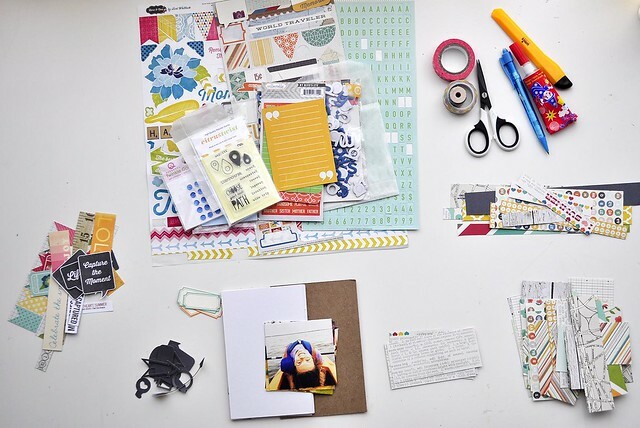 I also grabbed my tools and base which I cut from white cardstock (if you need some extra cardstock you can always order it with your kits from our online store!). 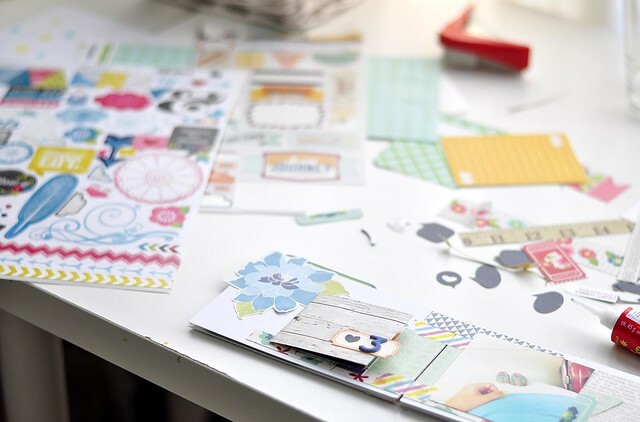 Before I start playing with building my mini album I also cut some basic shapes with my cameo (like arrows, speech bubbles etc), I cut all the labels and some decorative elements from patterned paper sheets which I think I might want to use later. I cut few of the patterned papers into rectangles and longer strips so it'll be easy for em to grab them when I want to build some layers in the mini book. 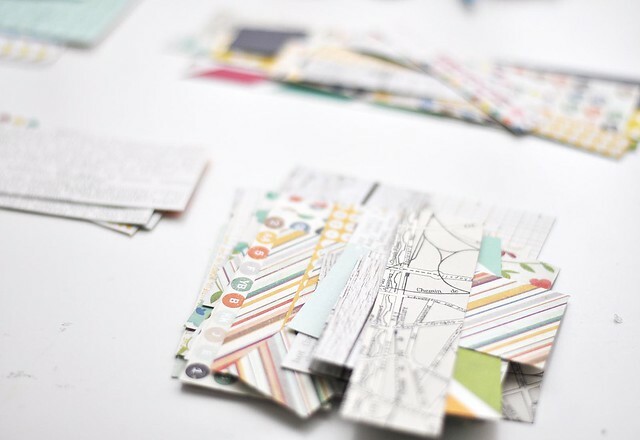 I choose 1 paper as a leading motive for my album and place it on every page. It helps to keep the mini book look cohesive later on. Then I grab washi tape from my stash and play with scraps of precut paper, I arrange them around the photos setting some basic layers. Washi tape holds it all in place until I decide that I'm happy with the overall look and I'm ready to glue everything down. Here are the pages with glued layers and photographs. I join the pages together with some washi tape, I think it's the simplest technique to connect pages in mini book. 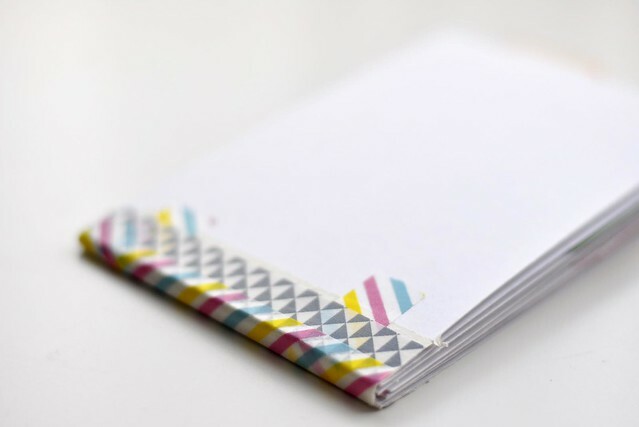 Remember to leave a tiny bit of space between pages so you will be able to flip them later on. Once all the pages are joined together I secure the top of my book with some extra washi tape. 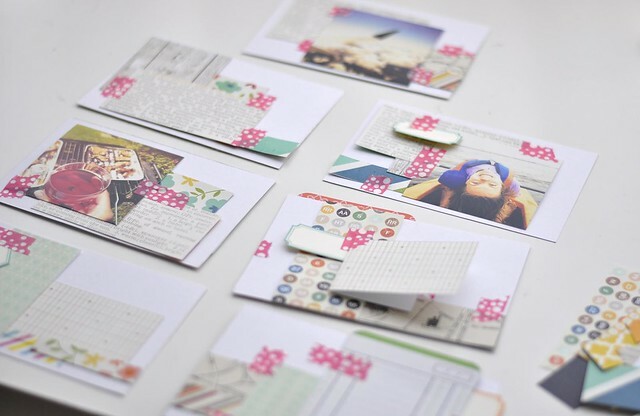 The best part is of course adding all the cute embellishment and little details! I love using stickers in my minis, I often cut them into smaller pieces so they match the size of the album. 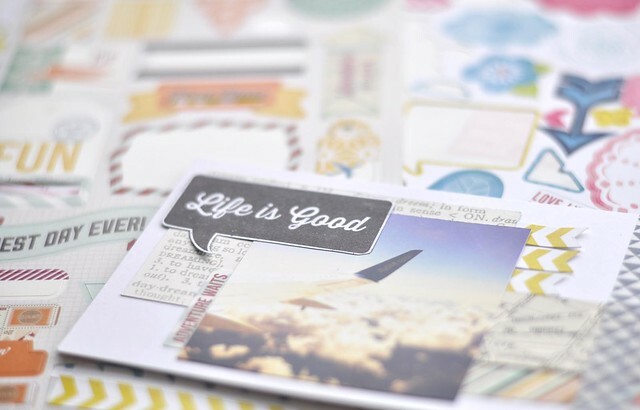 At this step I usually add my journaling and all the tiny bits and pieces. After embellishing the book I add some stamps. 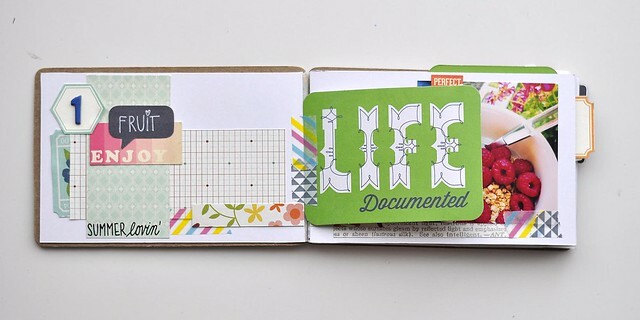 In this book I used stamps from Pocket Life kit and the stamp add on kit. I finish my mini by attaching and embellishing the covers. 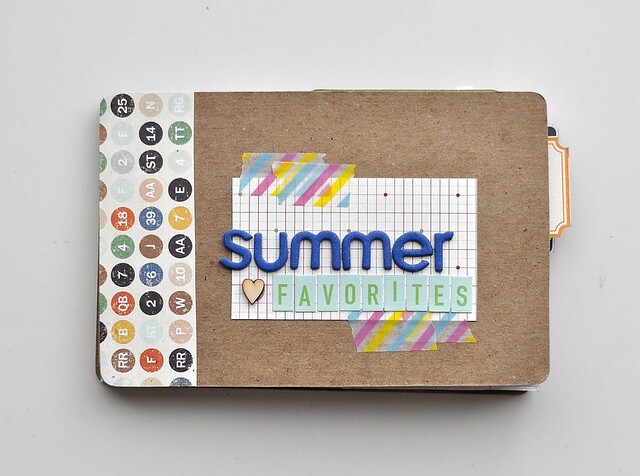 Below you can have a look at all the finished pages of my Summer Favorites mini! 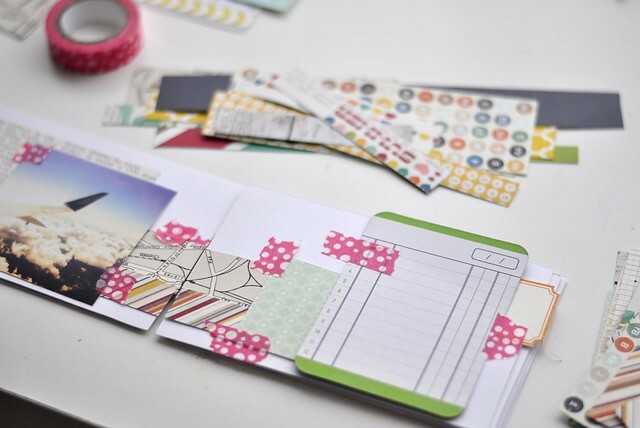 Making a book like this is a great idea to make good use of all the scraps which you have left after working with your monthly kits. 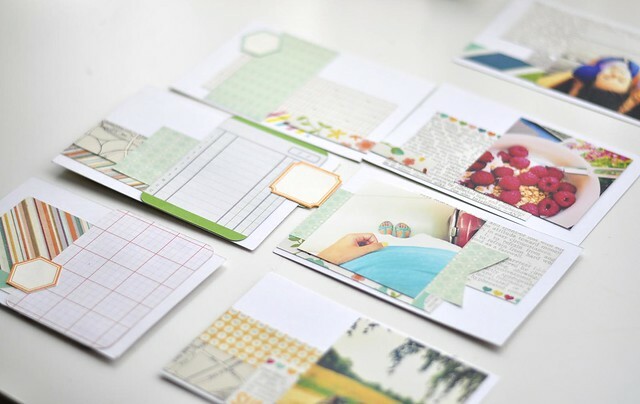 You can think of mini albums which would highlight your favorite things, visited places, tasted food, summer activities - there are so many possibilities! We would be delighted to see your projects popping up in our gallery this month! I'm not able to see the images or video. There is an error message. Not sure if it is just me or if others are seeing the same error. OMGosh! Love your mini book and how your thought process throughout. OMG.. amazing mini Kasia! Thank you so much for your whole process. Love it!